Jo and Catherine have BSc(Hons) in Physiotherapy. This qualifications means that they practice under the protected title of Chartered Physiotherapist which is goverened by the codes of conduct and professional standards set out by The Health Professions Council (HPC). This Practice has registration as a recognised provider to Axa PPP and Bupa along with all other major insurance companies. Jo qualified in 1994 from The University of The West of England, Bristol and started her career as a Physiotherapist working in a number of hospitals within the NHS, rotating in departments as varied as Intensive Care, Trauma and Orthopaedic wards and Out-Patients Departments. 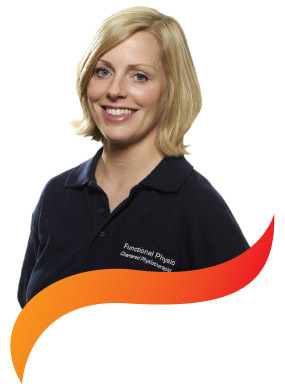 During this time Jo, a member of The Organistaion of Physiotherapists in Private PracticeÂ www.physiofirst.org.ukÂ developed a keen interest in the treatment and rehabilitation of musclulo-skeletal injuries enabling her to move away from the NHS to pursue a career in the world of private practice. Jo's interest in sports' injuries led her to work with two local rugby teams as lead physiotherapist providing pitch side medical care, training advice and rehabilitation. Jo's desire to travel and work led her to use her qualification in New Zealand where she gained a valuable eighteen months' experience as a locum in various hospitals and private practices. On her return she continued to work part-time in the NHS whilst building her own successful private practice in a small Oxfordshire market town. The prospect of a new challenge took Jo to Bristol to join a busy sports' injury clinic along with jointly setting up a new respiratory service; CLEAR (Community Lung Education and Rehabilitation) programme. However, Jo now dedicates all of her time at Sonning Common since Dec 2015 as it has become clear that the Practice needs more dedicated hours. With the Practice being housed within the surgery, Jo feels that patients who attend the surgery benefit from the close working relationship that has been developed by the physio team with all staff at the surgery from the GPs, nurses, admin and reception team. She looks forward to many more happy years serving the residents of Sonning Common and the surrounding area. Catherine qualified from Brighton University as a Chartered Physiotherapist in 2003. Catherine has worked within the NHS progressing to a Senior Clinician in musculoskeletal out-patients. Whilst within the NHS Catherine worked in a variety of settings including working in A+E in the fracture clinic alongside Consultants and has also been the lead clinician in the Physiotherapy department at a GP surgery. Working within these varying teams has enabled Catherine to develop a broad experience of both chronic and acute conditions in both spinal and peripheral problems. In 2007, Catherine undertook an MSc Module in musculoskeletal triage which enabled her to enhance her diagnostic skills in order to provide her patients with the best possible assessment and treatment. Catherine has also worked in the Private Sector within a Sports Injury Clinic and Sports Centre, where she gained experience in providing rehabilitative care for varying levels of athletes. 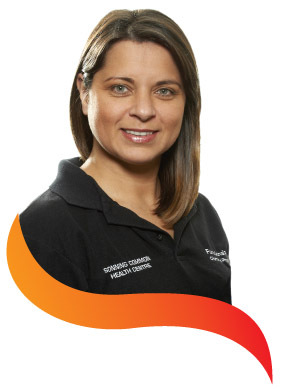 Catherine has always been interested in enhancing sports performance in patient's and has undertaken courses by the Australian Physiotherapy and Pilates Institute (APPI), which she has found to compliment those patients who come from a sporting and non sporting background. Catherine is also particularly interested in pre and post natal problems. She joined Functional Physiotherapy in Sept 2010 shortly after moving back to the area with her family. Catherine's children are growing fast but that has meant that she has been able to offer more clinic hours and now runs nine of our Pilates classes per week.